Product #46488 | SKU MAAM2A026 | 0.0 (no ratings yet) Thanks for your rating! 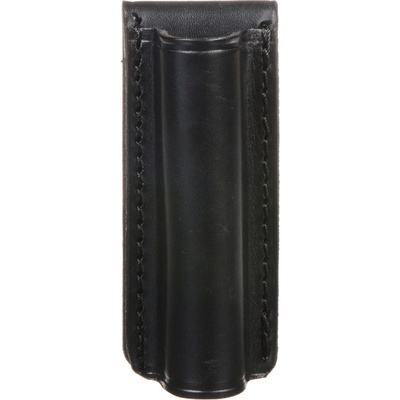 The black Leather Holster for Mini Maglite 2AA Flashlight from Maglite is a simple carry solution for your flashlight. Made without a flap or bottom, this minimised design allows for quick access without any obstructions. With a stitched belt loop, this holster will last as long as your Mini Mag.